Teen knife attacker targeted random students in "rampage of assaults"
SALT LAKE CITY -- A Utah teenager accused of stabbing five random classmates in a high school locker room brought a martial arts stick and knives with him that day and planned to kill, authorities said in charging documents made public Tuesday. After his arrest, the 16-year-old told investigators he didn’t target any particular students in the Nov. 15 attack but simply wanted to experience what it felt like to kill as many people as possible before he died. He said he left a suicide note at home and chose to wear red because he expected a lot of blood. 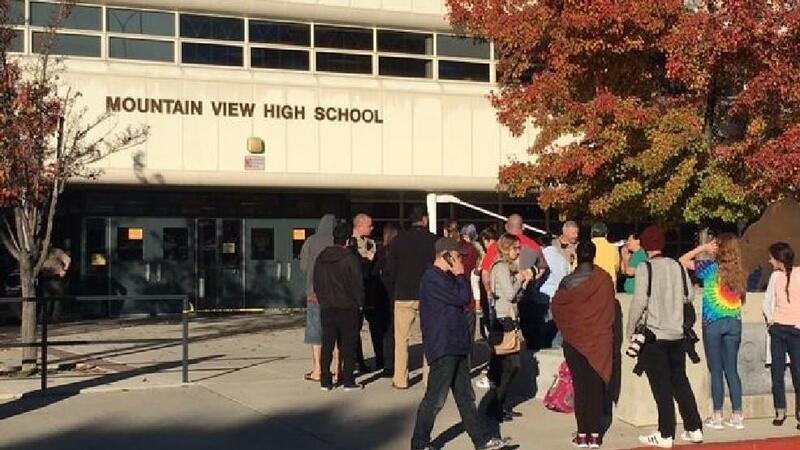 The suspect spoke freely to police about how the attack -- at Mountain View High School in Orem, Utah -- felt. He spoke about his observations on how easy the knife went in, seeing spurting blood and what it looked like to see people lose consciousness. He said he was able to attack more people than expected before he was stopped. The teen began what prosecutors describe as a planned “rampage of assaults” by coming up behind the first victim and smashing a wooden bo staff on the boy’s head, authorities say. The force broke the wooden stick, and left the victim unconsciousness and suffering a large cut and concussion. The charging documents from the Utah County Attorney’s Office showed the suspect then used a knife to stab the first victim and four other classmates before an officer assigned to the school subdued the attacker with a Taser. All the victims survived and have been released from the hospital. One boy had to undergo surgery to have a main vein sutured due to a deep wound. Another has disabled elbow and shoulder movement because his central nerve was cut when he was stabbed in the neck. The suspect was charged with five counts of attempted murder and one count each of possession of a dangerous weapon and failing to stop at a command of an officer. Police say the suspect, a sophomore in his first year at the high school after being home-schooled, also stabbed himself in the neck. Police and school officials have said the suspect is a straight-A student with no record of disciplinary action against him. The teen’s name is not disclosed in the charging documents. He is charged as a juvenile. Orem police posted an apology letter online after the attack they said was from the unidentified parents of the suspect. The parents in the unsigned letter said that none of the victims had done anything to hurt their son and that the stabbings were not racially or ethnically motivated. The teen’s attorney, Michael Esplin, told The Associated Press that he can’t discuss the case because his client is a juvenile. Esplin did say the suspect’s family had been dealing with a recent death in the family. The attack spread fear and panic among Mountain View High School students who described a panicked and gruesome scene immediately after the stabbings, with victims running from the locker room covered in blood and the school placed on lockdown.